So, this wasn’t one of my favorite types of slow cooker meals. You know, throw it all in the slow cooker, walk away for about 8 hours and come back to a delicious meal, but it was one of the quickest (3 hours) and tastiest. I started off by combining hoisin sauce, soy sauce, rice wine vinegar, sugar, minced garlic and red pepper flakes in my slow cooker. I then added in chicken thighs that I roughly cut into 1 – 2 inch pieces. I set the slow cooker to low and cooked the chicken for 2 hours. 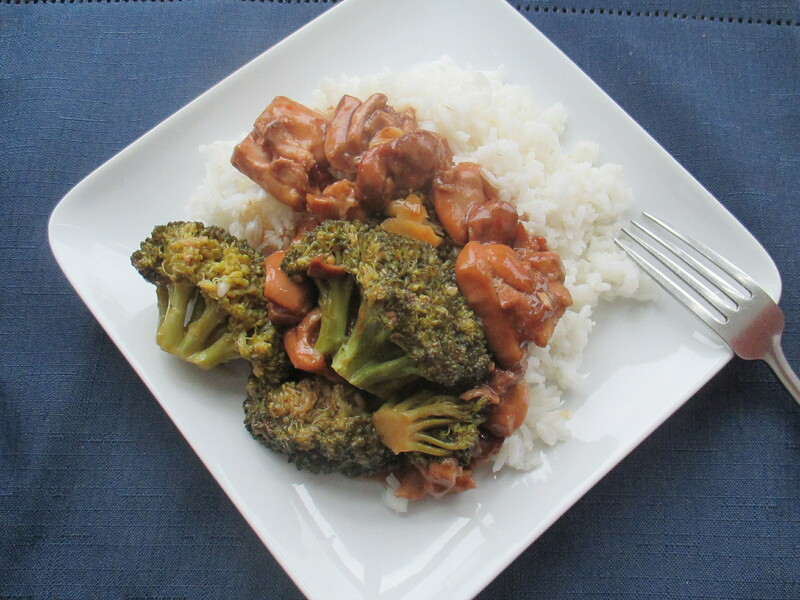 After 2 hours, I added in a cornstarch-water mixture to thicken the sauce and some fresh broccoli florets and continued cooking everything for an additional hour on the high setting. To serve, I made rice to soak up all of the sauce. The one thing I would do different next time I make this is omit the cornstarch-water mixture. I found that the sauce got even thicker the following day for left-overs. In a slow cooker whisk together the hoisin sauce, soy sauce, rice wine vinegar, water, sugar, garlic, and red pepper flakes. Add the chicken and toss to coat with the sauce. Cover and cook on low for 2 hours. In a small bowl combine the cornstarch with 2 tablespoons of water. After 2 hours, stir the cornstarch mixture into the slow cooker to thicken the sauce. Add the broccoli and toss to coat (don’t worry if you cannot coat most of the broccoli). 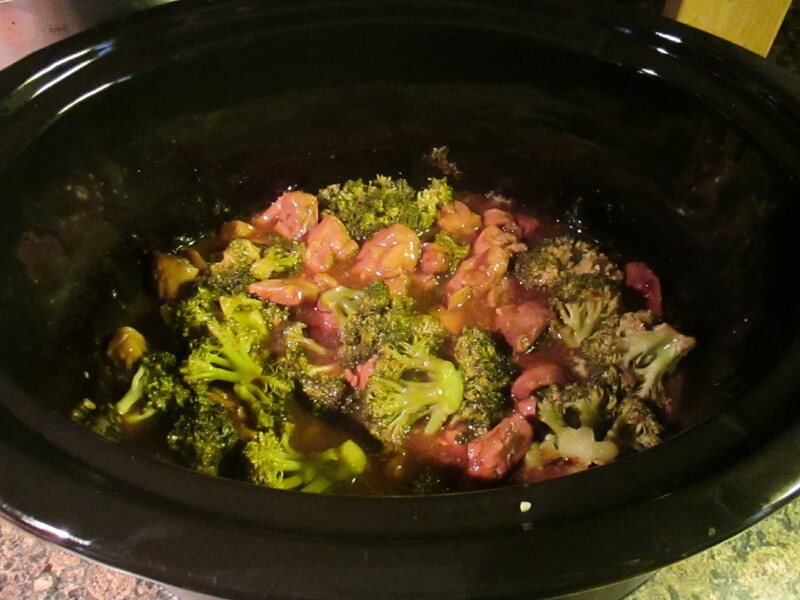 Cover and cook for an additional hour on high, or until the broccoli is tender. Serve with rice.